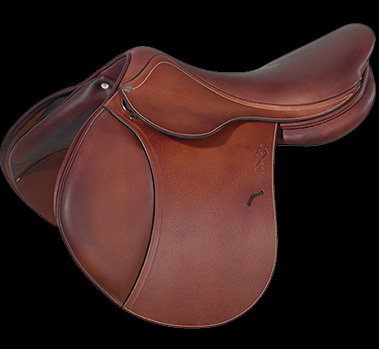 2014 Antarès jumping saddle in FAIR condition. Dark brown, full French calf leather. Soft and supple flaps! 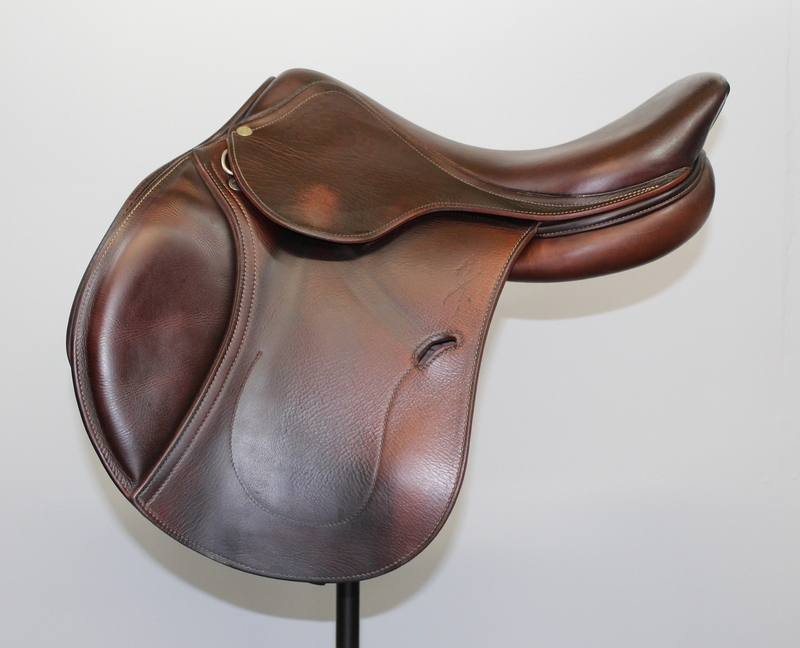 Shows a bit of wrinkling but that is common for a saddle this age. The skirts shows wear from stirrup leather buckles. 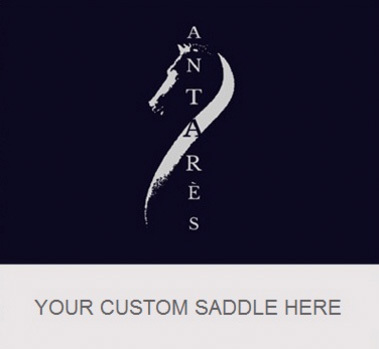 The saddle has two small holes on the back of the cantle from a previous nameplate. 16.5" half deep seat with regular twist measures true to size. Flap 0D measures 12.25" from the top of the stirrup bar to the bottom of the flap. Flap width measures 12.5" across at its widest point. Tree measures 4.75" from dot-to-dot under the pommel. Medium wide tree.